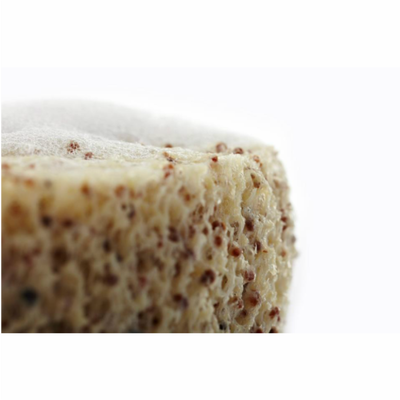 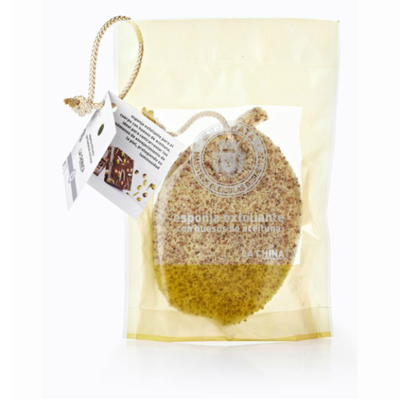 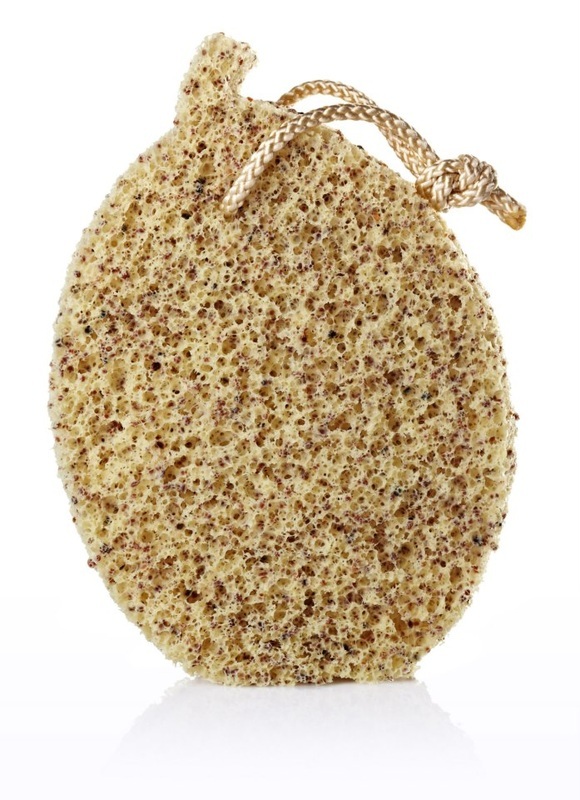 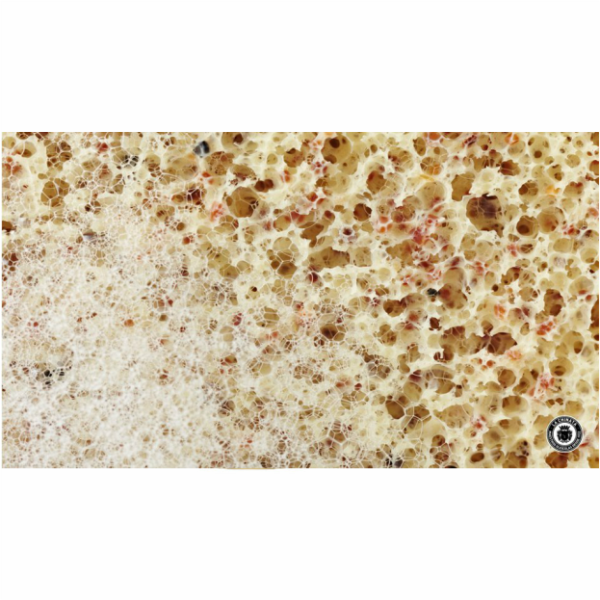 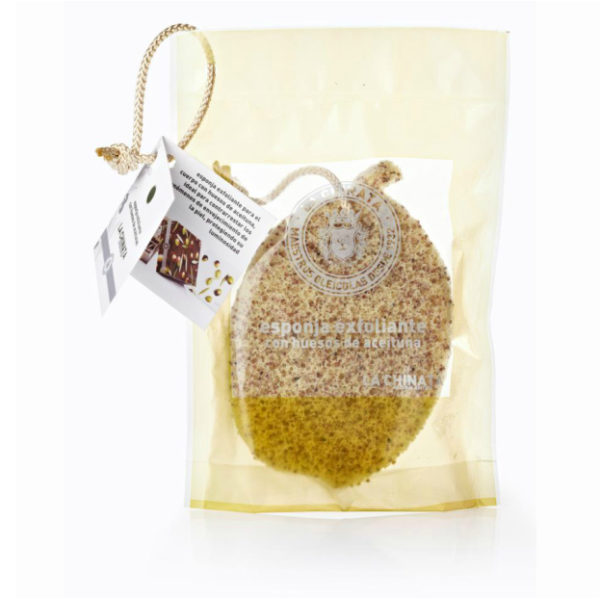 This exfoliating body sponge contains ground olive pits that softly sweep away the impurities without scratching, leaving the skin clean, renewed and smooth. 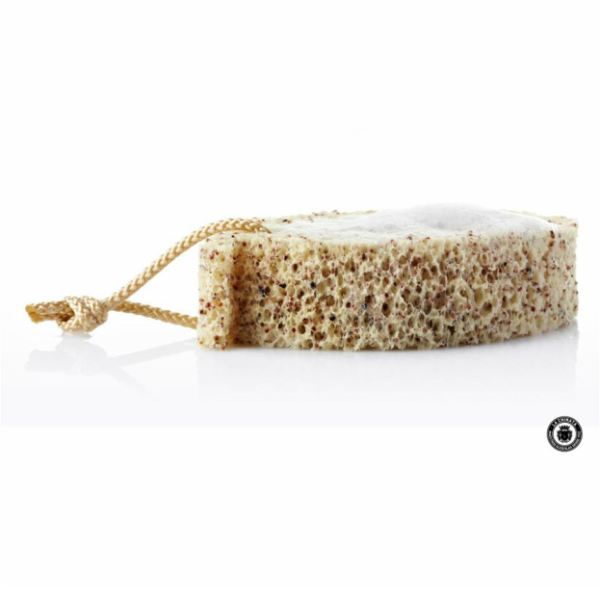 Eliminates impurities smoothly and naturally. Skin dryness can be relieved with a good nourishing cream, but if we exfoliate the skin first with a sponge we facilitate its absorption, because we eliminate dead skin cells that block the pores.